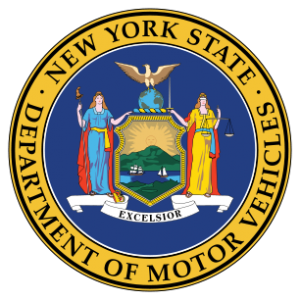 New York motorists can have their driver’s licenses suspended for a variety of reasons, including unpaid parking or traffic tickets, conviction for a controlled substance offense, unpaid child support, or other reasons. What many fail to realize is that once a person is “on notice” of the suspension, it is a misdemeanor to drive a vehicle which can result a sentence of jail, probation, a fine, and a criminal record. § 511. Operation while license or privilege is suspended or revoked; aggravated unlicensed operation. 1. Aggravated unlicensed operation of a motor vehicle in the third degree. (a) A person is guilty of the offense of aggravated unlicensed operation of a motor vehicle in the third degree when such person operates a motor vehicle upon a public highway while knowing or having reason to know that such person's license or privilege of operating such motor vehicle in this state or privilege of obtaining a license to operate such motor vehicle issued by the commissioner is suspended, revoked or otherwise withdrawn by the commissioner. (b) Aggravated unlicensed operation of a motor vehicle in the third degree is a misdemeanor. When a person is convicted of this offense, the sentence of the court must be: (i) a fine of not less than two hundred dollars nor more than five hundred dollars; or (ii) a term of imprisonment of not more than thirty days; or (iii) both such fine and imprisonment. If you are pulled over for a minor traffic infraction, such as expired tags or a broken tail-light and have such a suspension, you can quickly find yourself under arrest, jailed for 24 hours or more, and facing a permanent criminal record. Before you or your loved one goes to court or sees a judge when facing such a charge, it is important that you consult with experienced vehicle and traffic law criminal attorneys.